※English and traditional Chinese follow Japanese. 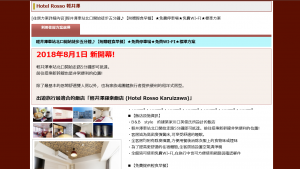 Now, you can make a reservation in Japanese, English and traditional Chinese on our official website. Please access the following URL.